June 01- The International Space Station reaches full illumination as the June solstice nears, resulting in multiple nightly passes favoring northern hemisphere observers. June 04- Io and Ganymede both cast shadows on Jupiter from 12:54 to 2:13 EDT. June 05- Venus reaches greatest eastern (dusk) elongation for 2015, 45 degrees from the Sun at 12:00 PM EDT. June 16- Comet C/2014 Q1 PanSTARRS may reach naked eye visibility. June 21- The June northward solstice occurs at 10:51 UT. 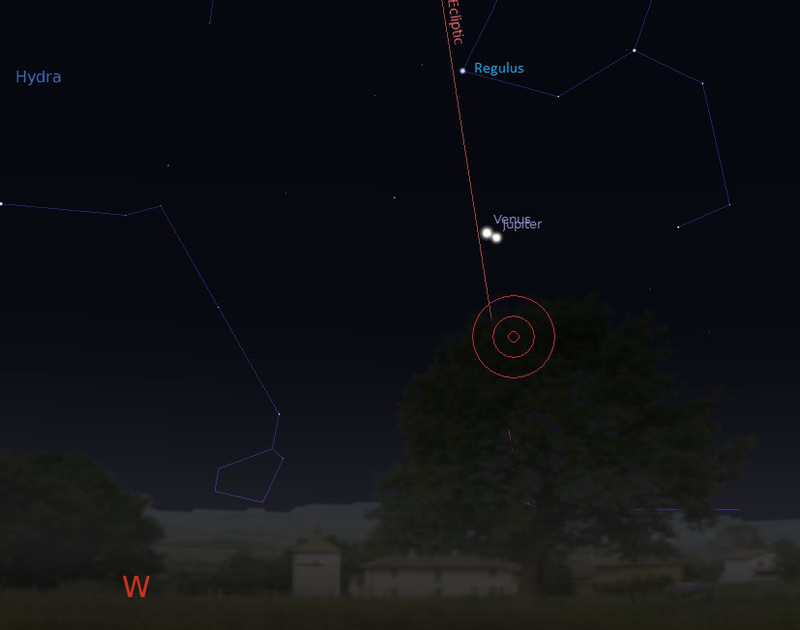 June 24- Mercury reaches greatest (morning) elongation at 22.5 degrees west of the Sun at 17:00 UT. June 30 – Jupiter and Venus are nearly 1/3 of a degree apart. for 8 days starting June 27th, they are 2 degrees or less apart.